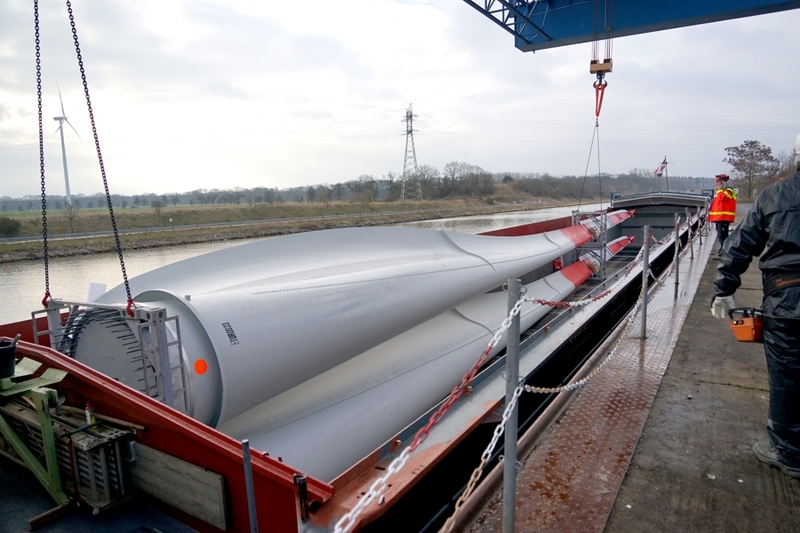 In March 2016, large and heavy components of wind turbines were delivered via inland waterway vessels and needed to be reloaded onto trucks for further transportation. At its location in Parey, DSD Steel Group provides the perfect facility for overcoming this challenge. 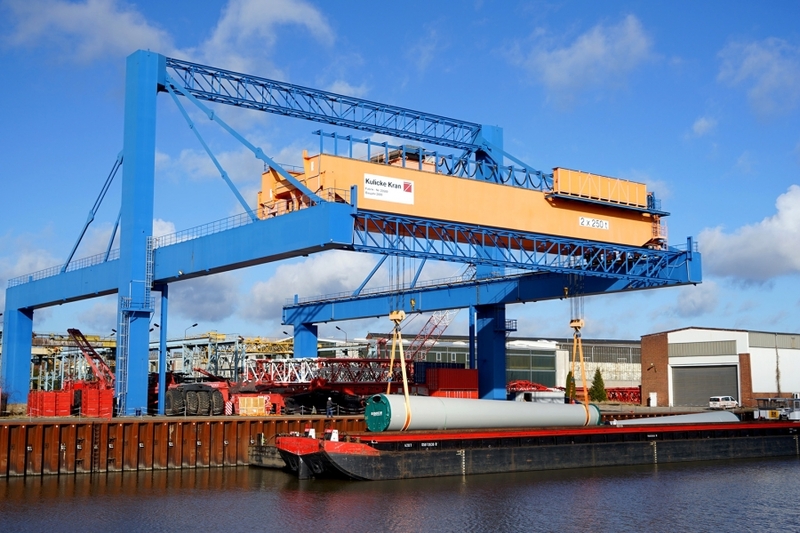 Using the edge of the quay and the overhead crane, it was possible to carry out a smooth reloading process onto the trucks. Components amounting to approx. 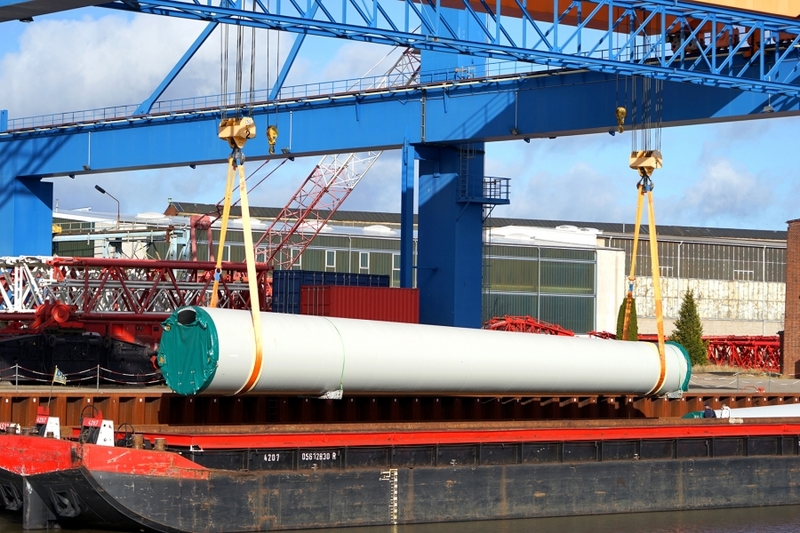 1,800 metric tons in weight were delivered via 14 inland waterway vessels and then reloaded. 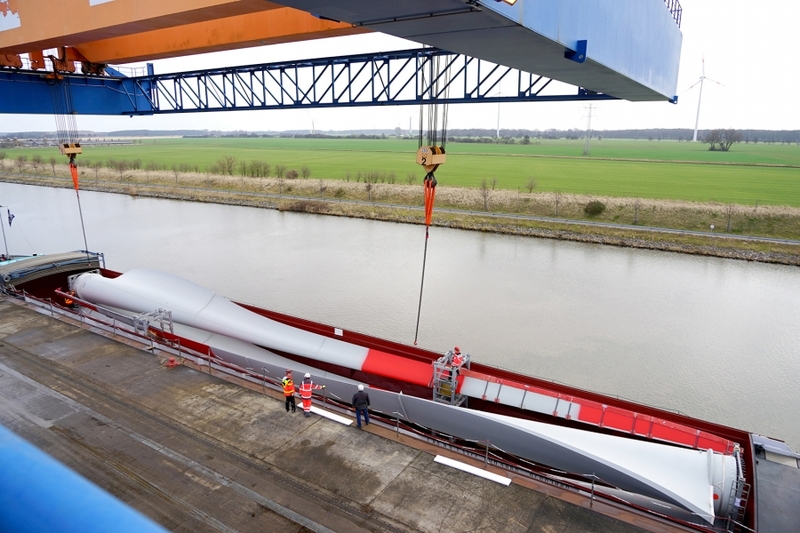 These components included rotor blades of 45 meters in length and steel components of approx. 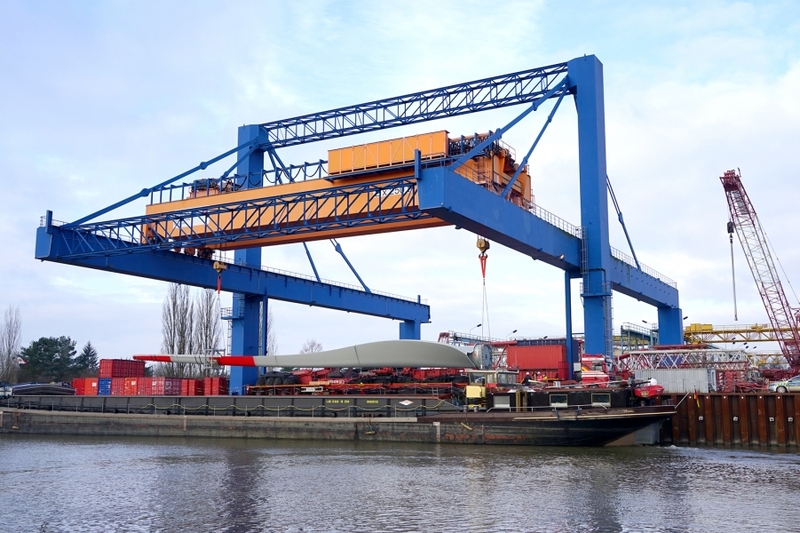 60 metric tons in individual weight.